The opposition's anti-BJP 'grand alliance' failed to take the desired shape as Congress president Rahul Gandhi chose not to "override" the sentiments of state leaders who did not favour the move, party veteran and thrice Assam chief minister Tarun Gogoi said. "Rahul Gandhi was keen on alliance most of the time. But the local party leaders said no. Our party gives importance to regional leadership. That is why we have not been able to form alliances in many places," Gogoi told PTI in an interview. "Even in case of alliance, the largest party can administer and rule the country. That is also needed. The single largest party must have sufficient strength so that it is not dependent on alliance all the time. Otherwise, the alliance (its smaller constituents) will dictate. And that is not a good for the country," he said. Referring to the seat sharing agreement between the Congress and CPI(M) for the West Bengal assembly elections in 2016, he said it was not beneficial as "sometimes alliances do not help and go against our own interest". Gogoi was responding to a question about division of secular votes in 2014 that helped BJP secure a majority in the Lok Sabha on its own, the strongest public mandate secured by any party since 1984 when the Congress had won a landslide. "How much vote did they (BJP) get last time? Only 31 per cent. He (Modi) only gave an impression that he is the most popular prime minister. Probably, he is the only one to become the prime minister with lowest percentage of votes," Gogoi said. When asked about Congress's failure to clinch an electoral pact with the CPI(M) in West Bengal, the former chief minister said it was because the two were on the rival side of the political divide in Kerala. "If we praise them here, how will we criticise them there?" "Farm distress, job loss, slowdown in construction and manufacturing, failure to check price rise, fall in exports and decline in GDP....overall the the Indian economy is in a bad shape. Indications are that the country is on decline. It is not moving up, but going down," he claimed. 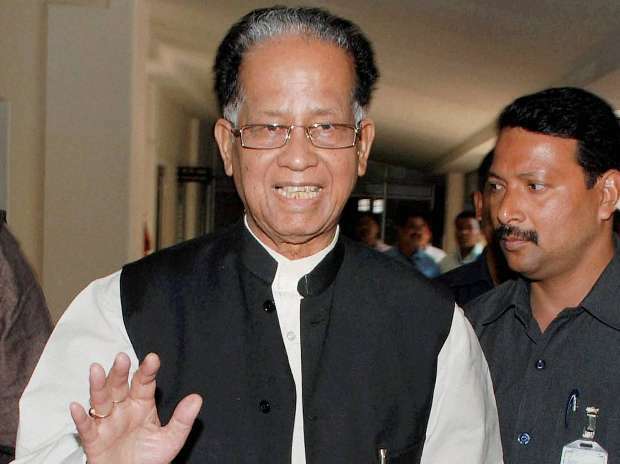 Gogoi was, however, optimistic about the Congress's prospects in the elections despite the opposition alliance failing to take off the way it should have. "The Congress's prospects this time are very good. I think it will get around 200 seats. Indian people are intelligent. They would sometimes punish and then reward," he said, apparently the party's lowest ever tally of 44 seats in 2014 LS polls weighing on his mind. He also maintained the BJP's tally in states like Uttar Pradesh, Gujarat, Maharashtra, Chhattisgarh, Rajasthan and Madhya Pradesh, where it had scored impressive victories like never before, will go down.